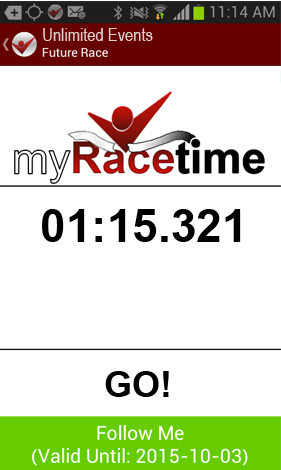 myRacetime is the timing solution you've been waiting for!! Take advantage of all the tools myRacetime has to offer, from beginning to end. Start off by using the website to create your online registration page. On race day use the myRacetime app to time your event. Finally have your results displayed online in real time. Register Create and publish your branded race registration page in minutes. With a unique URL publish your race to social media, your website, and more. Race Using either the manual, tablet, racer smartphone timing system or a combination of them you're ready and set to go!! Results When using the tablet or racer smartphone timing system, results are uploaded to the internet as soon as participants cross the finish line. Smartphone Timing Take advantage of GPS technology to digitally time your racers from start to finish. Tablet Timing The easy and organized way to time racers without the need of pencil and paper. Manual Timing Prefer traditional methods of timing? Thats fine, just enter your results when you are done and your results will be available online. 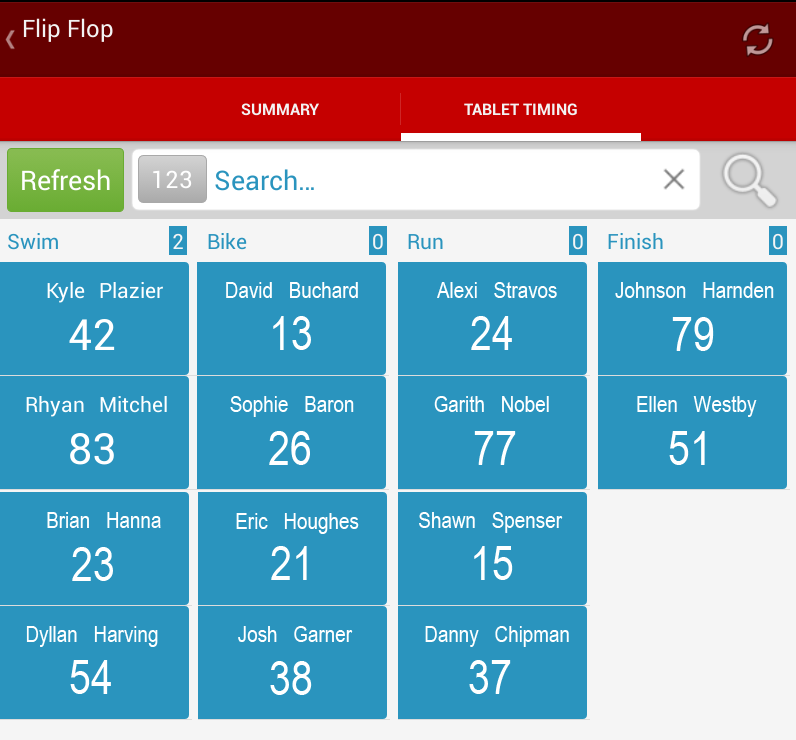 The myRacetime app allows race directors to time their participants with the click of a button. Participants are displayed on the screen with their name and bib number. A search option at the top allows you to quickly locate approaching racers and simply double clicking or swiping the racer moves them to the finish or next leg of the race. myRacetime takes advantage of the increased presence of cell phone GPS and can be used under all weather conditions; hot, cold, rain or shine. If you are more comfortable with the old pen and paper method of timing you can manually enter your results into the event so they are displayed online. This is done by going back into your event after it is complete and entering the values into the Manage Results section. Race positions can be automatically calculated at this time as well.